When choosing a chameleon cage, you have to make sure that it provides what your pet needs. This includes ensuring that the cage is lighting capable. Since chameleons need UVB light to avoid adolescent deformation and bone disease, the top of the cage should be screen. UVB light doesn’t travel through glass. The cage should also have proper ventilation. You need to choose a design that provides fresh air at all times. The misting system is also important. 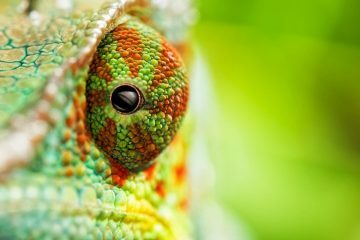 You can spray your pet by hand three to five times a daily between twenty to sixty seconds intervals depending on the chameleon’s size, amount of foliage inside the cage and the size of the cage. Another option is to cut the screen top to install an automatic misting system that will spray at a pre-determined interval throughout the day. You need to choose the décor as well. Choose a cage that has sufficient moving space for your pet. It should have plants, vines and branches where the chameleon can climb up and relax. A walkway is required, so your pet can transfer from one plant to another. You can put fake branches, vines and plants to make it easier to create an environment for the chameleon. The open air corrosion-resistant aluminum screen cage is perfect for small Old World chameleon species and young green iguanas. 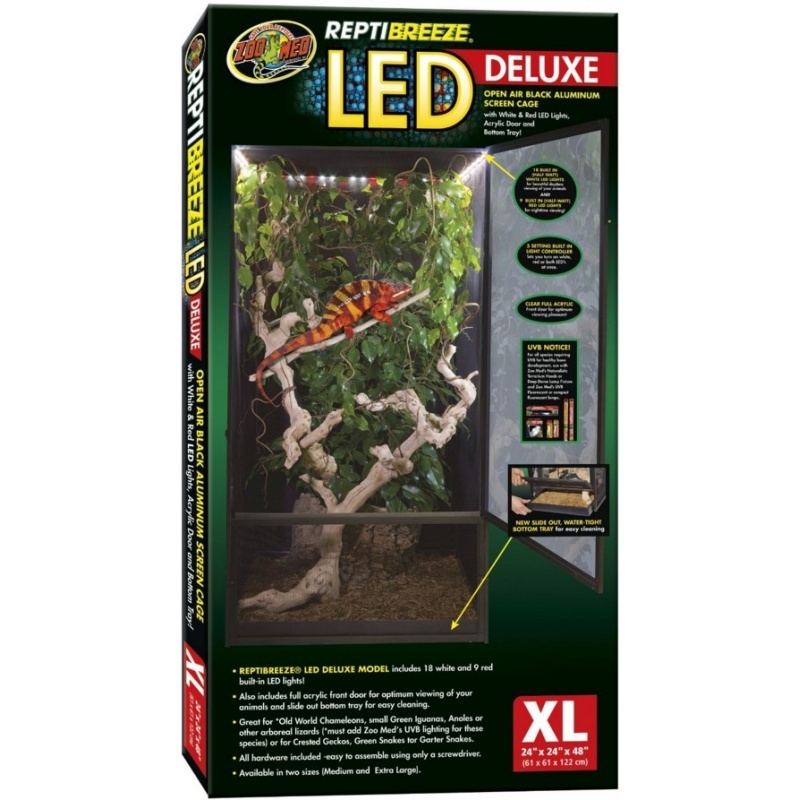 It can also accommodate other arboreal lizard species like anoles and geckos. 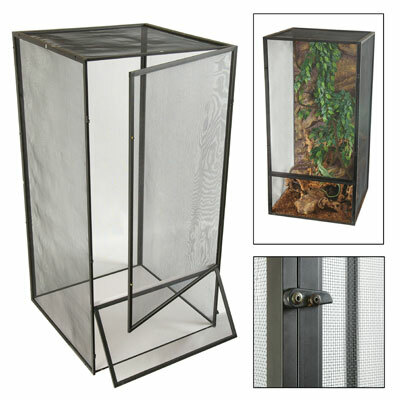 Measuring 24″ x 24″ x 48″ and weighing 9.7 pounds, the Zoo Med Reptibreeze Open Air Screen Cage is easy to access and clean thanks to its large front door. The bottom door also makes it easy to remove waste materials, so you won’t find it hard to keep the cage clean and odor free. Since the cage is lightweight, you can move it from one place to another with ease. 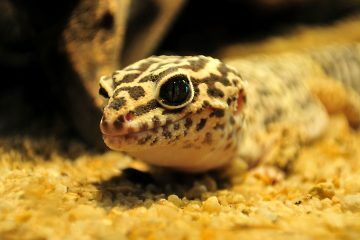 Its large size allows natural UVB rays to enter the cage. The cage also provides a lot of space and great ventilation to your pet. You can assemble the cage with a screwdriver. 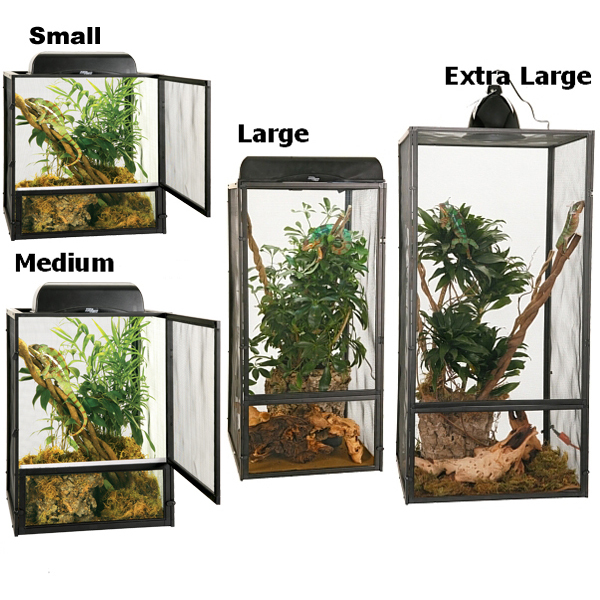 Measuring 18″ x 18″ x 36″, the Zoo Med ReptiBreeze Open Air Screen Cage is easy to assemble with a screwdriver. Assembly doesn’t take a lot of time. It weighs 3.3 pounds, so moving it from one area to another is not a problem. The cage is made of black anodized aluminum, so it is resistant to corrosion. It has a large front door for easy access to the cage and a bottom door for easy removal of substrate. 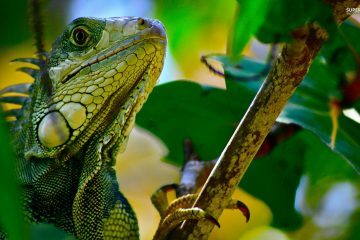 The cage can accommodate arboreal lizard species, young green iguanas and small Old World chameleon species. The open air screen cage allows for sufficient circulation of air, making it a great habitat for crested geckos, chameleons and more. The aluminum frame and screen are rust and corrosion-resistant. Accessing and cleaning the cage is easy thanks to its two front doors. It measures 24″ x 24″ x 48″ and weighs 14.9 pounds. The cage has a clear acrylic door panel for unobstructed viewing and a bottom tray that can be removed and used to hold excess moisture and moisture. It also has built-in LED lights that are touch activated. You can choose from three different settings to illuminate the cage – White and Red, Only White and Only Red. Choose the wrong cage and your pet will feel stressed and uncomfortable all the time. Consider the needs of your pet and your space at home. This way, you can choose the right chameleon cage for your pet. 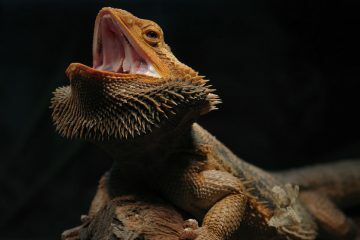 What Is The Best Bearded Dragon Enclosure for Sale? What is The Best 5 Gallon Betta Tank? Looking For The Best Betta Fish Tank? 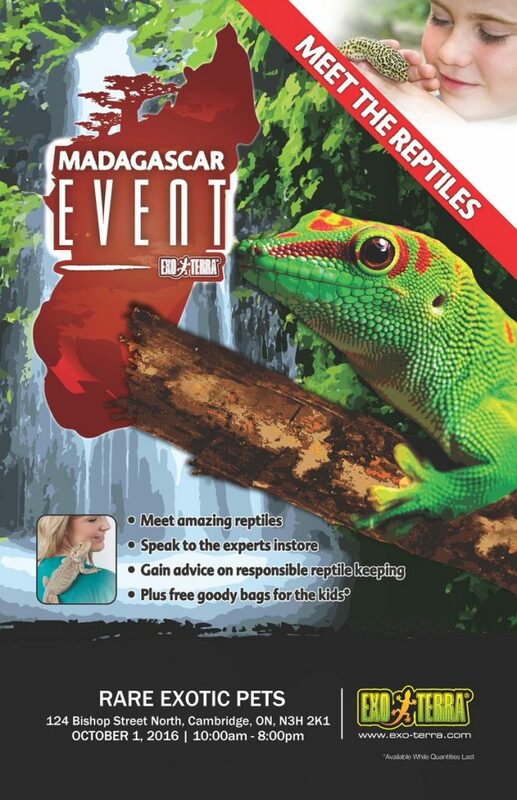 ExoticPetGuide.Com is a participant in the Amazon Services LLC Associates Program, an affiliate advertising program designed to provide a means for sites to earn advertising fees by advertising and linking to Amazon.com.